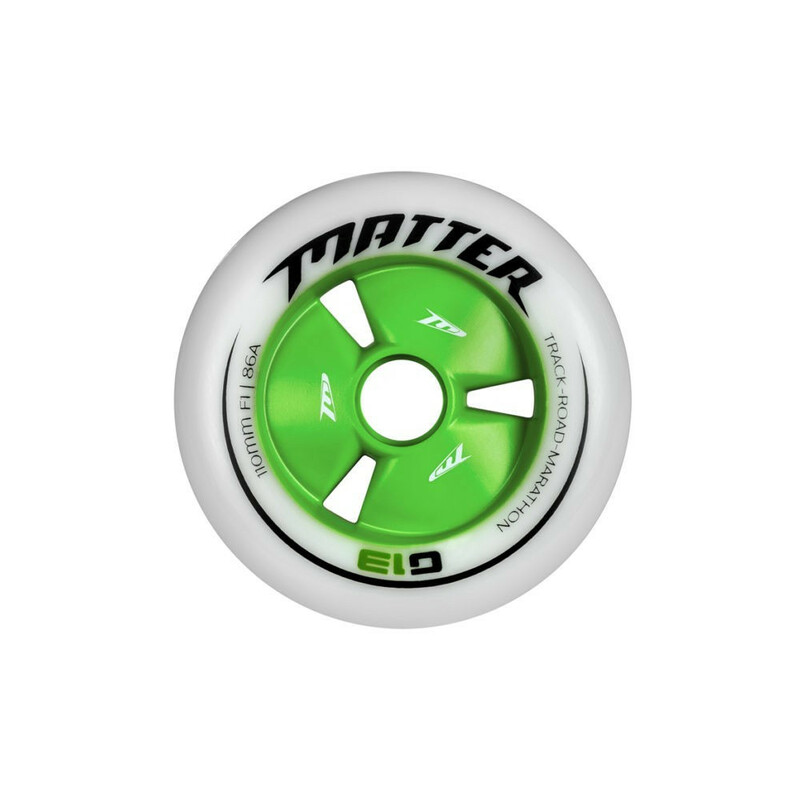 The G13 PU maximize grip, without loosing rolling quality. 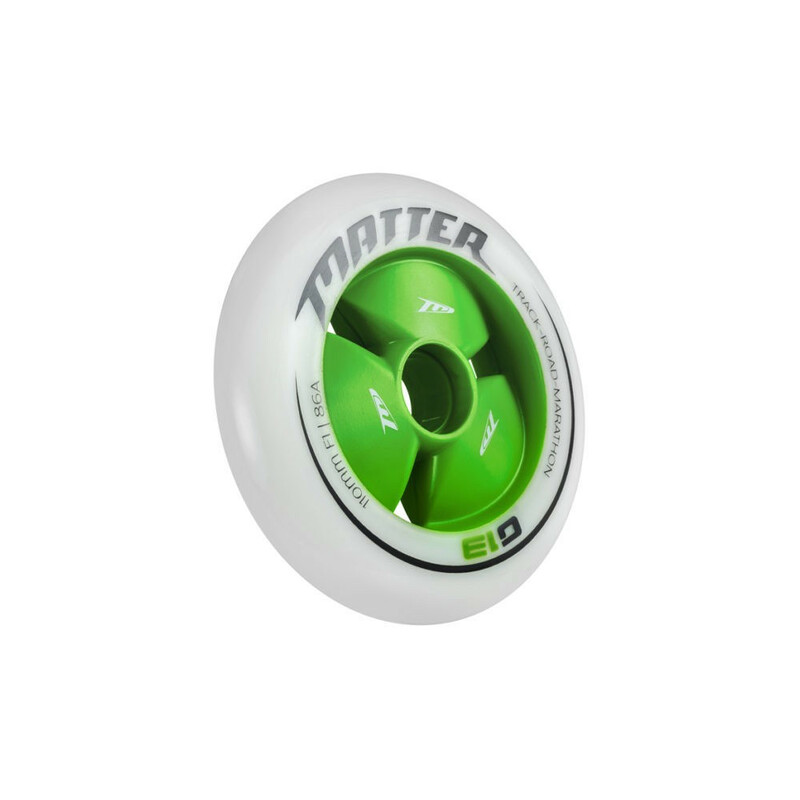 The bi material offers a soft inside that flex in turns and gives more gripping surface on the floor when pushing. Outside material is high density to offers an excellent rolling. Hardness F1 (+/- 86a) For slippy floors.